As Oklahoma considers the prospect of passenger train service between its two largest cities, rail’s most ardent proponents may soon be its youngest. The Eastern Flyer, a passenger train proposed to run between Midwest City and Sapulpa, has been transformed into the Polar Express, boarding most days through Dec. 28 from Bristow. This is the first year Iowa Pacific (which owns the Eastern Flyer) has brought this official train ride event to Oklahoma, says Angela Arias, vice president of sales and marketing for the Premier Rail Collection, the passenger division of Iowa Pacific. The Polar Express is a classic children’s picture book by Chris Van Allburg about a boy, who one winter night hears a train whistle. From his bedroom window, he sees a magical train outside of his house. On board, he meets other children in their pajamas headed for the North Pole. On the journey, the children drink hot chocolate, listen to music and play. In 2004, Robert Zemeckis created a computer-animated feature film based on the book with Tom Hanks as the voice of the conductor. 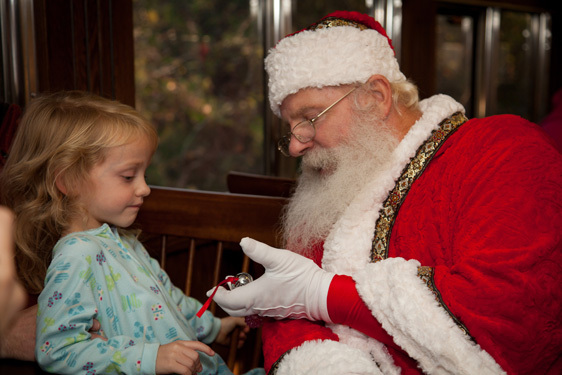 The story and film have inspired many holiday passenger train events, but the Eastern Flyer’s Polar Express is one of a handful of official Polar Express Train Rides operating in the U.S., Canada and the U.K.
Arias says the Eastern Flyer’s trial run in February was part of the reason Premier Rail and Iowa Pacific decided to bring the attraction to Oklahoma. 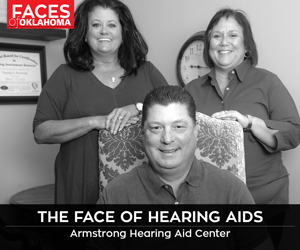 “It was so successful, and the community [of Bristow] embraced it so whole-heartedly,” says Arias. 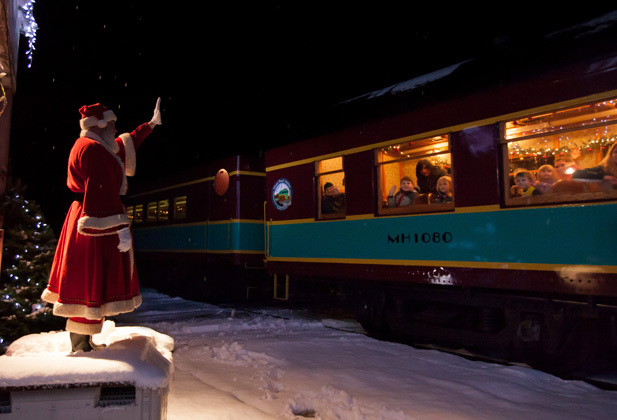 The Eastern Flyer Polar Express will board from the Bristow Historical Museum, a restored 1923 train depot operated by the Bristow Historical Society. The group rearranged its collection to accommodate the 2,000 people per day anticipated to visit, says Trudi Barnett, historical society secretary. Barnett says the town was chosen for an additional reason. Children are encouraged to wear their pajamas and experience the story with their families. The Polar Express, which began its runs in late November, continues most nights through December with afternoon and evening departure times. Excursions are about one hour round-trip. Visit www.easternflyerpolarexpressride.com for ticket information, purchases and a detailed schedule.